The Executive Director of Social Ventures Australia, Jan Owen has resigned to take up a new position at the Foundation for Young Australians. Owen will take the role of Chief Executive Officer at the Foundation for Young Australians later this year. Owen is recognised as one of the leading pioneers of Australia’s youth sector, having headed up Australia’s first youth representative bodies, as Chairperson of the National Youth Council of Australia and President of the Youth Affairs Council of Australia. Jan founded the CREATE Foundation where she was the inaugural CEO and led the organisation for nine years. Since 2002, Jan has been the Executive Director of Social Ventures Australia, an organisation that has pioneered new investment, social innovation and entrepreneurship models to increase the impact of the social sector. With over 20 years experience in these sectors, Owen has led numerous partnerships and collaborations including the National Coalition for Children and the National Children’s Summit; and, most recently, the Social Enterprise World Forum. In 2000 she received membership to the Order of Australia for service to children and young people. Chairman of FYA, Mark Paton, says Owen has a truly exceptional career already under her belt, and as a recognised leader and innovator in the youth and social sectors, Jan will be instrumental in leading FYA into the next phase of our development. Paton says her appointment represents a purposeful decision by the organisation to embark upon some exciting new directions while consolidating and building upon an already impressive track record of supporting young people in this country. Owen says she is excited by the appointment and the opportunity to support and empower young people across Australia to realise their potential. She says FYA, and its Education Foundation Division, have made a tremendous contribution to the youth and education sectors over the past three decades. 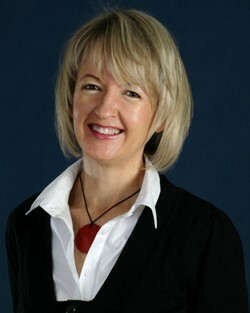 Owen will commence in her role as CEO at FYA in September 2010.